The ClaroSpeak Chrome App lets you read back documents and proof and correct your own work. It is available for Apple Mac OSX and Microsoft Windows machines with the Google Chrome browser, or Google Chromebooks. Chrome on iPads, iPhones, and Android does not support Apps like ClaroSpeak. ClaroSpeak toolbar buttons: Open, Clear, Settings, Play, Stop, Dictionary, Save. By opening a text or HTML file from your machine. Tap the Open button and select the text or HTML file. On Windows and Mac you simply pick a local file. On Chromebook you can also open a file from Google Drive or Dropbox or any other cloud service set up on your Chromebook. Select the font name and size you find best to read from the same Text and Colour section. You can have each letter or word you type be echoed back as you type it. Tap on Settings and check the boxes under the voice selection. You can have the letter sounds rather than the names (e.g. “buh” instead of “bee” for B) read out (Swedish only). Tap in a word and tap the Dictionary button to hear a pop-up dictionary definition. Tap the pop-up’s Play button to repeat. Tap Close in the pop-up to close the dictionary. You must be online to use the dictionary. ClaroSpeak Chrome supports the powerful Google spellcheck system: misspelled words are underlined and you can right-click to correct them or tell ClaroSpeak that this is not a misspelled word. 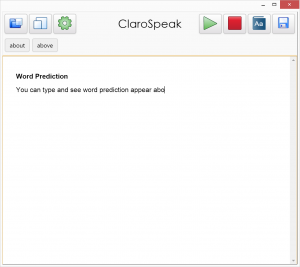 You will get much better spellcheck results if you enable the Google online spellcheck, so ClaroSpeak can use the powerful Google servers when connected to the Internet. Right-click on the ClaroSpeak text area, select “Spell-checker options”, and check “Ask Google for suggestions”. Tap the Save button to save your text file to your local machine (or Google Drive on Chromebook). Provide a filename and it will be saved for future use. The range of voices and languages available to you depends on your operating system – Microsoft Windows, Apple Mac OSX or Chrome OS (Chromebook). The following online server voices are available from the Google servers. These will only work if you are online. Google Chrome also provides access to your default SAPI5 voice. Select the voice in the Windows Control Panel and select “native” from the voice selection in ClaroSpeak Web. Free voices are available for Windows 8 in many languages. 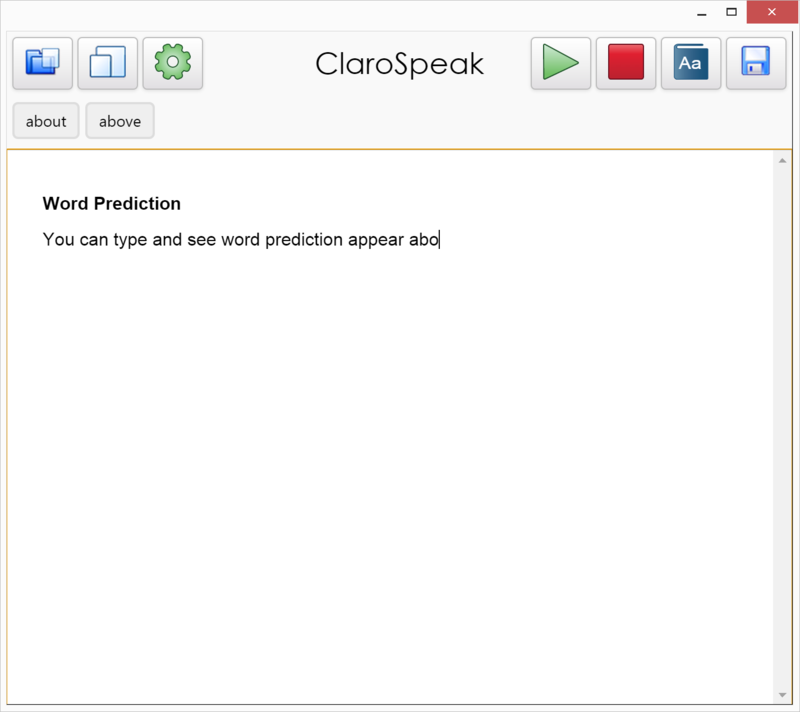 Voices provided by Claro Software can also be used so long as you are on a 32-bit version of Windows. The following voices are all installed locally and will work even if you are online. You also have access to any and all installed system voices. Free voices in many languages can be downloaded from Apple, and used in ClaroSpeak Chrome. They will work even if you are online. You may also be able to install other voices from the Chrome App Store. These will then appear in ClaroSpeak Chrome.